If getting to the gym is a headache, invest in a weight bench for awesome at-home workouts. If you’re like most women today, you’re looking for ways to cut back on spending. And while you know your health and physical fitness are important, maybe you just can’t afford to pay $40 per month to go to the gym anymore. Thankfully, you don’t have to. 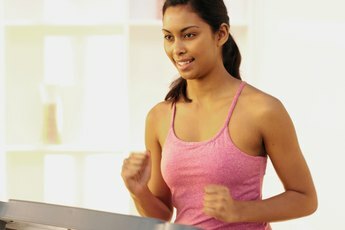 By investing in an at-home workout bench, you can enjoy the benefits of the gym right in your own home. And depending on how much you spend, the bench could pay itself off in a matter of months, padding your bank account for bills, groceries or a few more little black dresses to put in your closet -- and on your newly sculpted body. For those who want to keep it inexpensive and basic, a standard flat bench will do the trick. According to Sports Authority, the top-selling flat bench for less than three figures is the Pure Fitness Flat Bench, which comes in at $90 (as of publication). It comes with a 2-inch square steel frame that provides stability for workouts targeting arms, shoulders, chest, abs and, if you get creative, legs. Because it is budget friendly, the bench is just that: a bench. It doesn’t come with any dumbbells or free weights, which you’ll have to finance on your own. But with those being easily available at most retail stores, it’s definitely not a deal breaker. And if you're not interested in the Pure Fitness brand, try the Adidas version, which is available for just $10 more. The more you invest in a bench, the more features you can and should expect. And for $250 or less you’ll start to see more options regarding extra attachments and equipment. The top-selling bench in this price range, according to Sports Authority, is the CAP Barbell Olympic Strength Bench, which comes with a six-roll leg developer, detachable squat station and adjustable uprights. While, again, you’re on your own for supplying free weights, this bench has the ability to accommodate 7-foot Olympic bars if you're really going after the muscles. And at $196 as of publication, you’ll be able to spend the money you save on whatever weights you need. For a similar bench, try CAP's Olympic Barbell Weight Bench, which comes with an adjustable bench for roughly $20 more. The winner of "Fitness" magazine’s best overall workout bench for a splurge falls into this price range. At $360 as of publication, you can treat yourself to an Empower EM 20, which allows you to store up to 32 pounds of vinyl dumbbells in a fold-up fitness bench that both looks great and saves space. The Empower EM 20 also comes with a 20-minute workout DVD that will guide you through exercises that can be completed on the bench and help you strengthen and tone your entire body. If you're looking for an Olympic bench in this price range, consider the Body-Solid PowerCenter Combo Bench, which is well worth the $440 price tag as a flat bench, incline bench, decline bench, 90-degree shoulder press bench and seated leg-developer all in one. Let's hear it for overall great products! When it comes to consumer reviews regarding equipment, pricing and overall quality and features, one of the most consistent winners is the Marcy Diamond Elite Olympic Bench. Priced at $250 at Sports Authority as of publication, this bench is durable and easy to assemble, something you and your significant other -- whichever one of you is wielding the screwdriver -- will appreciate. Like other benches, it accommodates but does not include Olympic-sized barbells and weight plates, but with this machine, you get an adjustable preacher curl bicep pad, a dual-function leg developer, reverse walk-in squat feature and detachable bar catches. For a similar product that is $30 lower in price, check out the Marcy Olympic Bench, which is essentially a scaled-down version of the Diamond Elite and definitely worth a look. 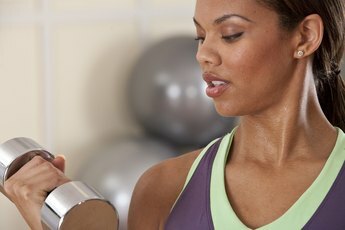 What Is the Best Style of Dumbbells? 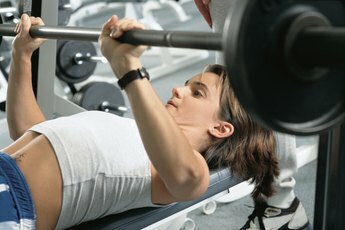 What Is a Good Amount to Bench Press?